Skye Gravestones | Kenneth M. Macpherson. 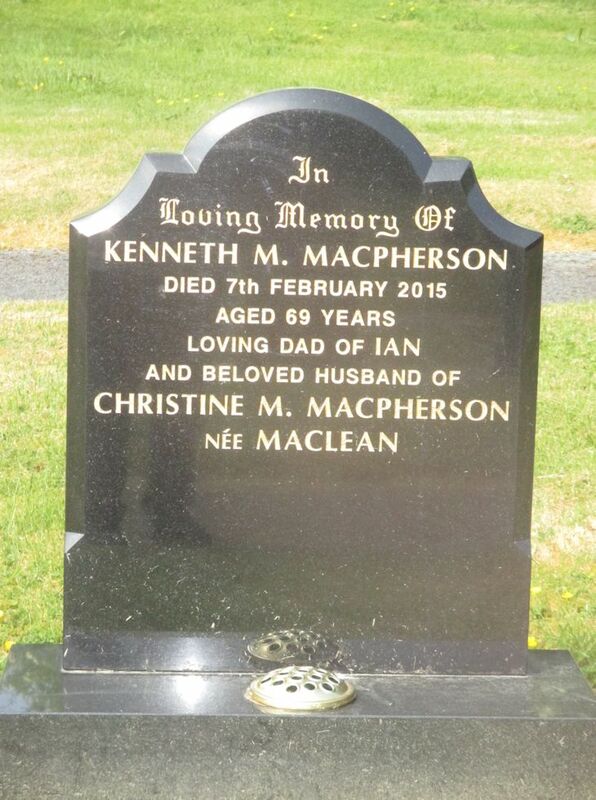 In/loving memory of/KENNETH M. MACPHERSON/died 7th February 2015/aged 69 years/loving dad of IAN/and beloved husband of/CHRISTINE M. MACPHERSON/née MACLEAN. Picture Added on 12 June 2018.